One more day until the I’m Your Neighbor, Portland collection opens at the Portland Public Library’s Main Branch. The bookcase is positioned and waiting thanks to “City of Readers” coordinator Jim Charette, the books have been ordered thanks to Children’s Librarian Mary Peverada, and the signage is installed thanks to Banacom Sign. Thanks to the catalogers for working double time to get the books to the shelves! 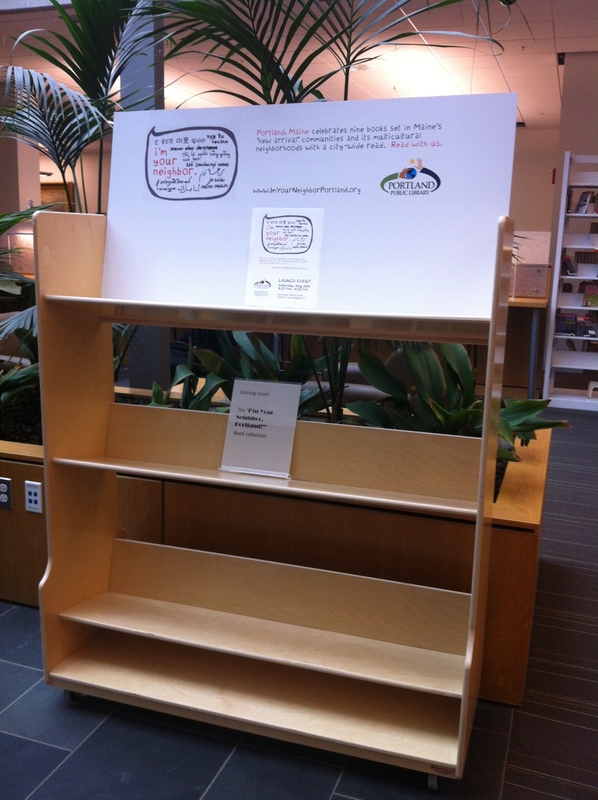 Look for the bookcase between circulation and children’s after Memorial Day! I’m Your Neighbor, Portland and the Portland Public Library invite you to the Launch Event of a year-long community-wide read of books set in Maine’s “new arrival” communities. The Featured Books by Maine authors and illustrators tell the stories of people that have come to Portland and to Maine from all over the world in the last several decades and in doing so transformed the city into a vibrantly multiracial and multicultural community. The May 25th event will introduce the books (for both families and adult readers) with readings, music, and refreshments from local independent groceries. Attendees will have an opportunity to say “I’m Your Neighbor” in any language they know, share the story of their name with their neighbors, and envision how these books can be used in the community. The Portland Public Library’s I’m Your Neighbor, Portland book collection will open for circulation the day of the event. Books will be for sale by the USM Bookstore and many of the authors will be available for signing. The project is generously funded by the Maine Humanities Council and hosted by the Portland Public Library. A special thanks to the NAACP’s King Fellows for introducing the books. Please share this event with your friends and colleagues! SHARE the event with friends on Facebook. 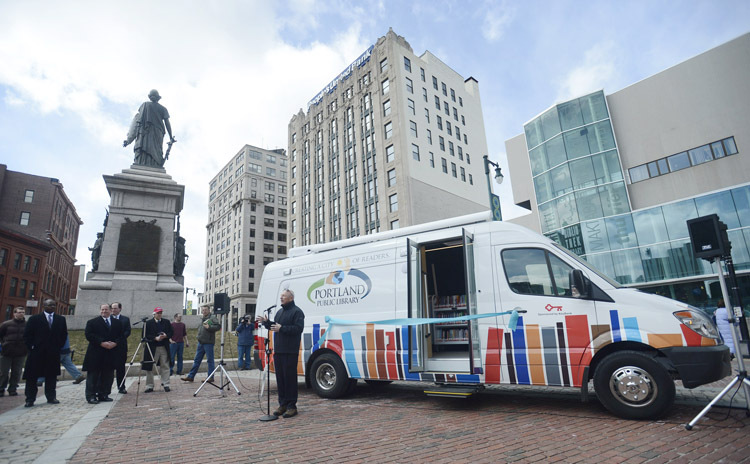 I’m Your Neighbor, Portland is delighted by the arrival of The Portland Public Library’s Bookmobile! Over the next year, we will be providing programming for the bookmobile using the Featured Books and hopefully giving these books away as part of the programming. To help distribute free I’m Your Neighbor, Portland books to Portland readers, please consider Sponsoring Free Book Distribution.